Preheat oven to 350°F. 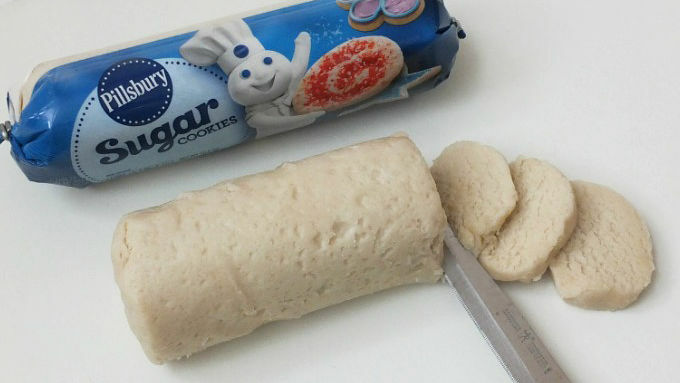 Cut refrigerated dough according to package instructions. Bake for 11-14 minutes. Melt white and dark chocolate candy coating wafers according to package instructions. 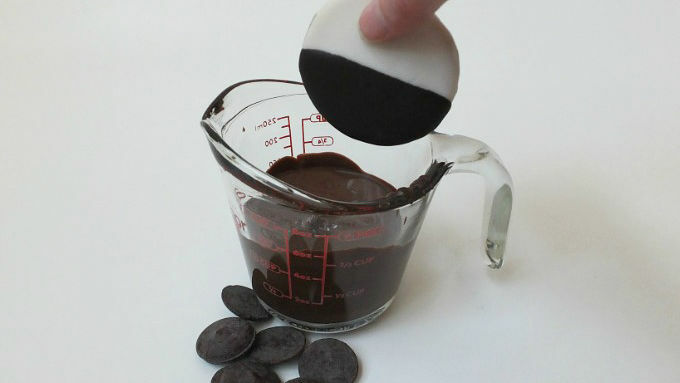 Dip one half of the cookie into the dark candy coating and place on parchment or wax paper to dry. When dry, dip the other half of the cookie into the white candy coating and place on parchment paper. 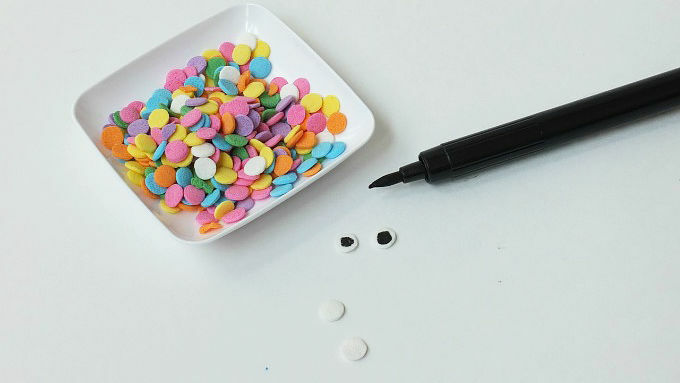 Using the black edible marker, color in the middle of the white confetti sprinkles for the eyes. Place 2 white confetti sprinkles on the white side for the eyes and a black confetti sprinkle in the middle for the nose. Place 2 white chocolate chips on top of the cookie for the ears. Let cookie dry completely. Using the black edible marker, draw in the eyes, nose, whiskers and bow tie. Don’t ring in the New Year without these cool cats! 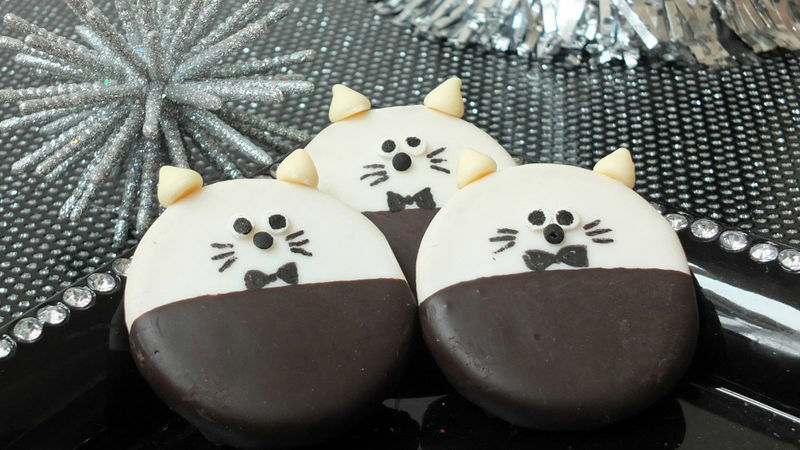 These dapper little cat cookies are dressed up all formal in their tuxedos to ring in the New Year. 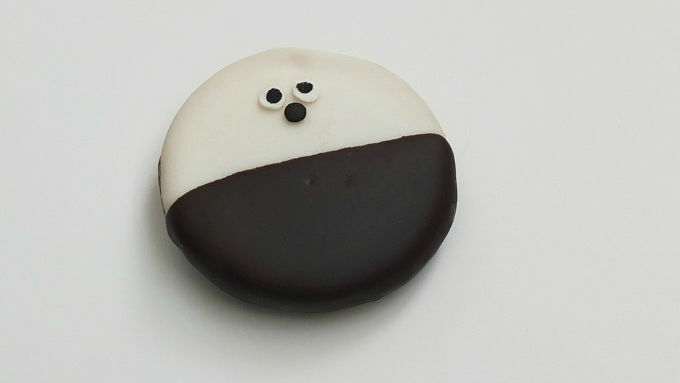 Our delicious black and white cookies are super easy to make and a sweet way to celebrate. Your guests of all ages will love how cute these classy little cats look, and you’ll appreciate how incredibly easy they are to make and decorate. Easy party win! 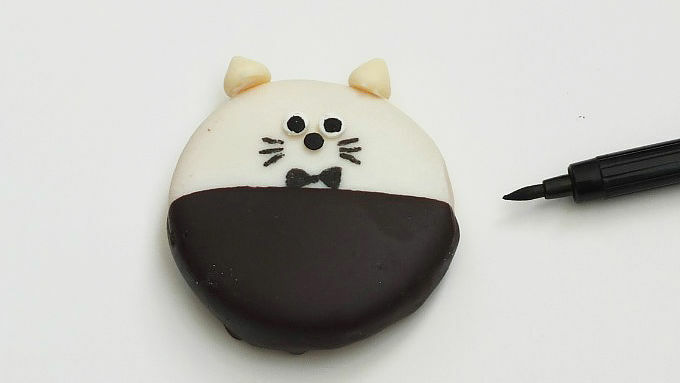 Pudgy, fudgy sugar cookies never looked so adorably elegant. These fat cats will be the first to go before the clock strikes midnight!